An auction can be a good place for you to sell stuff that you no longer need at a good price. Learning how it works will help you make the right decisions. A marketing period is often set to match the specific asset or situation that is being auctioned. Real estate, farmlands, as well as personal properties usually take around four to five weeks. Some specialized assets might require a longer period. There are also situations when the auction is conducted quicker. As the seller, what you will choose to do can affect the outcome of any auction. More often than not, many sellers are not really sure whether they want to sell at an auction before they do. Only when they realise the enormity of the task do they decide to seek out the services of auctioneers. If you are thinking of doing the same, here are some of the things that you should not do when selling at an auction. Perhaps one of the most damaging things that sellers can do when auctioning off assets is trying to negotiate a private sale for them. When you decide to sell the assets privately, you will be the one pricing them. That will only ruin the chances of these items getting a good price when they are sold on auction day. There are many instances where people who have a lot of property to dispose of ended up selling a few pieces to somebody they know for a very low price. This is especially true when it comes to estates. This reduces a considerable portion of the pool of buyers who would have attended the auction. Aside from getting a very low price for the items, you also end up devaluing the rest of the assets that are being auctioned off as well. This is something that many sellers tend to do in the hopes of finding a buyer faster. This does not only cause conflict when it comes to the actual price of the asset, it may end up putting false expectations to the buyers out there too. You will only likely end up under-pricing it, which means you will not be getting enough money for it or you will end up overpricing it, which can easily turn potential buyers away. Some people do try some last minute effort to sell the assets themselves so they can possibly avoid paying any commission. Commissions are investments, not expenses. They pave the way for accelerated marketing of your assets as well as ensuring that what you get is top pricing for the item being sold. So it makes sense that you pay for them. 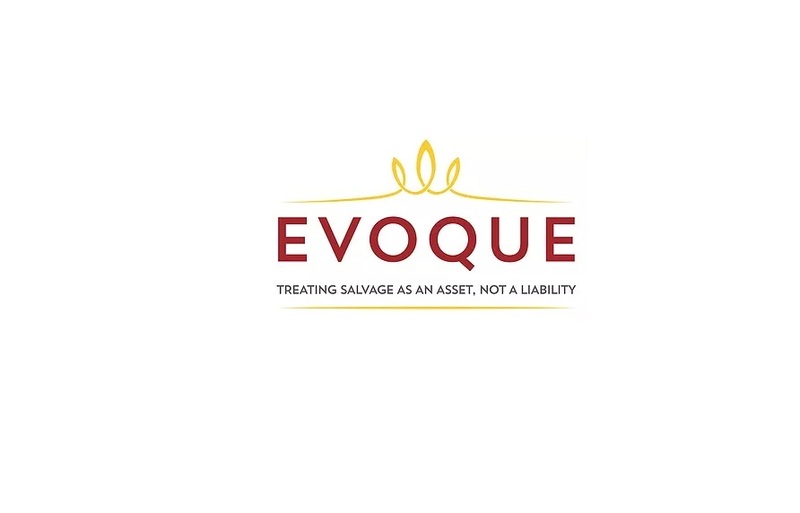 If you have concerns about asset management and auction services, Ian Whittock at Evoque Claims and Appraisals will be able to guide you through the process. As a company that specialises in collecting, restoring, and reselling salvage items, it has since led the way in claims efficiency. Get to know more about Ian Whittock and how he can help you here. Learn more about claims and appraisals by watching Ian Whittock videos here. When it comes to processing a claim, many people always bemoan the fact that it can take a long time to get expedited. Every single claim tends to differ from each other. Every single case will require an investigation process and that can take a long time. Add to that the fact that the policy documents are going to be scrutinized to the smallest detail and you can expect that this can really slow the process down. It is a good thing though that there are things that you can do to get your insurance claim sped up. While you may not always be able to force things to move at a much faster rate that you prefer, there are steps that should help ensure that you do get the settlement that you know you rightfully deserve at the end of the day. If you are aiming for the claims process to go smoothly, it is important to have proper evidence to help back up the claim. If this has something to do with valuables, then having the receipts on hand helps. Taking lots of photos to help prove the condition of the asset will be necessary. Having your policy documents kept and stored somewhere that will allow you easy access to it when the need arises is also very important. You want to know first if you are indeed covered for the specific loss that you have just experienced. Some people often make the mistake of just assuming that they do without really getting into the details of the policy that they have signed up for. A careful understanding of your policy is necessary and if this meant reading through the tons of legalese involved, then do so. It is better to go through all that and find out that you are indeed covered than to just skip this process and find out that you are not covered at all. You will need to be as detailed as you can. It is when you provide insufficient information that you will end up with a claim that gets dragged on for a long time, since your insurance provider will have to do the information gathering on your behalf. When you have all the evidence necessary to get the claim backed up, all they have to do is verify its authenticity. Making a fuss is might be something that you have to do if you need to speed things up. It is when you stay persistent that you get a better chance at receiving a good settlement and a faster one at that. Make enquiries about the state of your claim. It does not even matter if you have to call your insurance provider every day. If you have concerns about making a claim, you can reach out to Ian Whittock at Evoque Claims and Appraisals. The company offers their services not only for claims and appraisals, but they also conduct auctions. For a prompt and detailed understanding of the claims and appraisals process, get in touch with Ian Whittock here. Visit Ian Whittock official LinkedIn page here. When people think of salvaged items, the first thing that will come to mind are vehicles. In reality however, there is a wide array of assets that can be salvaged, repaired, and then sold for a good price. From damaged structures to heavy equipment, to items that have been ravaged by hurricanes, or those that have incurred water damage, you will be surprised at how many assets are actually worth salvaging. Before an insurance company will decide to proceed with salvaging a damaged item, certain elements need to be present first. The condition of the item should be checked as it can contribute considerably to its overall value. Some pieces can be considered scrap if there are very noticeable cracks and wear on it. Pieces that are intact and only show little to no signs of wear will usually still command some excellent pricing. Visual appeal is also another factor that may be considered too. It is easy to confuse items that are just interesting to those that are actually valuable. As always, it is up to expert appraisers to assess whether there is true value in a damaged item or if it does not have any redeeming qualities at all. Stamps and hallmarks are also checked since they can increase the selling price of a salvaged item. This is especially true with jewellery. Some hallmarks show notable brands or places of origin of the piece which can command a higher price when the item is sold. Jewellery pieces are definitely among the top assets that are easy to salvage and then sold. Many resellers will be able to salvage jewellery by repairing them and reselling the piece. They often come as vintage, estate, or antique items. Fine art is also very popular in the salvage market. Many of the pieces out there tend to be fragile hence, when they are exposed in less than ideal settings and environment, they might degrade. This will lessen their value. There are insurers that are able to get them restored through the help of experts in the field and the resulting piece is then sold for a good value. Antique furniture is also very common among the things that are salvaged, repaired, and then sold to buyers too. With many people looking into old pieces for their unique appeal and their classic and timeless aesthetics, it is easy to see why more and more insurers are more than happy to restore damaged antique furniture pieces. Clothing can also be salvaged. Most of the time, insurance providers will seek the help of textile cleaning services to get the items cleaned up and restored with the use of state-of-the-art techniques. They can then be auctioned off afterwards to help recoup the costs. If you’re not sure whether a damaged item you own is worth salvaging or not, Ian Whittock at Evoque Claims and Appraisals can assist you. As director of a company that specialises in appraisals and claims, it is more likely that he will say yes to salvaging these assets instead of no. To learn more about asset management, claims and appraisals, as well as auction services, check out Ian Whittock here. Visit the official page of Evoque Claims and Appraisals by Ian Whittock here. Farmers have to rely heavily on equipment and other machinery to lessen the bulk of work in their respective farms. Over the years, the industry has evolved not only in terms of new crops and techniques, but also with the introduction of more modern equipment. This sometimes ends up in a situation where farmers have excess equipment lying about in the farm. This could be because they want to buy a new one or they want to upgrade to a newer and better model. Instead of just disposing these items, reselling them will help farmers to recoup at least a fraction of the costs involved when purchasing them. Auctions of farm equipment have become fast, efficient, and cost-effective means for farmers to dispose of machinery that are either excess or are no longer being used. Events like these tend to pre-qualify bidders ahead of time. So, sellers can expect that the auction is going to be one setting for truly serious buyers. When one chooses to sell farm equipment individually via treaty sales, the process can be quite exhausting. It is time-consuming too. When the items are being presented at an auction, the process involved is much simpler. It also gives the seller enough time to focus on more important matters such as actual farming instead of worrying about how to get his excess equipment liquidated. The best thing about auctions is that they provide a cost-effective, easy, convenient, and fast venue to get excess inventory liquidated properly. The sale is set at a specific time and place. There is also guarantee that the items are being sold to a specific crowd of buyers that truly have an interest in buying the products. When bidders choose to sign up for these auctions, they are already pre-qualified. This means that they really do have a strong interest in the items to be auctioned and that they are going to have the necessary means to pay for any item if they decide to make a purchase. That does not only speed up the buying process, it removes the stress often involved with late payments. Pre-qualified bidders who attend these auctions are there with the intent of actually buying something and not just browsing. Their intent is to make a purchase when there is a specific item that they like. With everyone in the audience considered as interested buyers, the possibility of you liquidating every single item you have being auctioned is also very high. If you are in need of some guidance on whether the farm equipment you own is going to qualify for auctioning or not, Ian Whittock at Evoque Claims and Appraisals can assist you. With 18 years of insurance and client knowledge under his belt, he will be more than happy to walk you through the process of getting appraisals, making a claim, or getting your items prepared for auctioning. More information about Ian Whittock and his work is found here. Follow Ian Whittock on Twitter here. If you are thinking of selling your estate, farm, business or estate assets, the auction method is in many cases create advantages for the buyer and seller that traditional property listings cannot match. When you decide to sell your assets, note these advantages why you must consider the auction method. Give Ian Whittock today for a no-obligation consultation! With a known auction date, we know exactly when your property will sell. The date of the auction creates a sense of urgency with potential buyers and the auction process will put your property in the spotlight for all to see. The seller is in control of the timing which means he controls the financial impact of carrying costs. The terms of the sale Is managed by the seller. The seller, with recommendations from the auction firm, sets the terms and conditions for the auction. Once they are established, all buyers attending will follow the same pre-determined rules allowing the seller to maintain a sense of control throughout the auction process. The price of your property is negotiated upwards by means of competitive bidding by the interested buyers. The current market value of the property is what a buyer is willing to pay at the time of sale. By negotiating multiple bids one at a time, auctions can establish value and eliminate guessing of the price. Real estate sales usually close in 30-45 days after the auction date. This can eliminate the months or even years that a traditional real estate listing can remain on the market. Sellers of farm and construction equipment, business and estate assets benefit greatly by the ability to sell all their assets at once without the burdens associated with individual sales. Clients for non-real estate sales are paid in full by the auction company the week following the auction. Ian Whittock and Evoque Claims and Appraisals will ensure a flawless auction to make your properties worth their value. Evoque Claims and Appraisals also provide bespoke Insurance appraisals and small claims reports to the high and mid net worth household insurance market. Designed to give both the client and the insurer peace of mind and relieves elements of under insurance, we give the insurer a full overview of the risk and gives both client and insurer a detailed breakdown of buildings and contents sum insured. 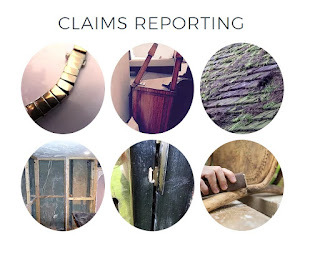 Our claims reports are unique and not only gives the insurer an overview of the claim circumstances, it allows payment to be made quicker to the client. Find out more about claims services and asset management on the Ian Whittock Behance page here and the Ian Whittock company's website here. Read Ian Whittock latest blog posts in his Medium page here. Making a claim can be an emotional upheaval. It usually means there has been a disruption to someone's life and often people want someone there to help them through. These claims are filed by the policyholder directly with the insurance company or by brokers or agents representing the policyholder. This can also be looked at as the filing of compensation as stipulated in the insurance contract between the policyholder and the insurance company. Once a claim has been forwarded to the insurance company by the insured person, the claims department of the insurance company starts its process. Together with other assisting staff, the claims adjuster will be tasked with the duty of looking into the claims made and confirm that the insurance contractual terms cover the claims made. If covered, the claims adjuster will calculate a monetary value of the claim made and approve payment. The claims adjuster usually maintains communication with the policyholder throughout the process. The insured person is also at liberty to engage the services of a public claims adjuster to negotiate a reasonable amount of money on his or her behalf. • The policyholder is given a chance to enjoy a reasonable amount of money to compensate for the loss suffered. • In an event of loss or damage of an insured property, claims services will ensure that the insurance company has been alerted of the same within the time-frame stipulated. • The policyholder will also get the necessary advice on whether the claim made is covered or admissible as contained in the insurance contract. The importance of a claims service is ensuring a person gets what is rightfully appropriate for him to restore normalcy. In this way, the insured person gets the compensation to what was lost or damaged. Here at Evoque Claims & Appraisals, we provide the best claims services in the UK. Ian Whittock and our team of experts will give you the best information in order to make a correct payment. A member of the Evoque team will attend the client's property detailing the circumstances of the claim using our online platform. We will then go through all damaged/ lost/ stolen items with the client and make sure they have everything. Detailed photographs are taken where possible as well as any purchase reciepts and/ or existing valuations collected. Once the report has been compiled, each item is given a desktop value from one of our in-house valuers. Find out more about claims services and asset management on the Ian Whittock Behance page here and the Ian Whittock company's website here. Read Ian Whittock latest blog collection in his Medium page here. Ian Whittock has had 18 years of client and insurance knowledge. He also enjoys creating new business ventures and developing new services. Prior to this, Ian Whittock worked in London’s most prestigious hotels, first as an Executive Chef at four fine London hotels, and then as a Managing Director for Regent Glen Hotels. He also worked as Development Manager for Madhvarni Hotels. After four years with the Madhvarni Hotels, Ian Whittock founded his first company, Identidot Coding Services Limited which is based in Aldridge, Birmingham. Identidot offers a major deterrent to theft by way of DNA coding valued possessions, including descriptions, dimensions and photographs of all items coded or listed. It also supplies specialist management software to assist clients, insurers and insurance brokers in the event of theft, fire, renewals or simply managing their assets. The company is now in business for 18 years. Recently, they merged with Opulent Lifestyle, a leading security hardware systems installer. The merger produced Identidot Systems Ltd, a separate company run by identidot with the assistance of Opulent Lifestyles’ former Director David Shel. The new company offers discreet but effective security measures for private individuals in their homes. Ian Whittock is also the Director of Evoque Claims & Appraisals. The company functions as an Appraisal Service, a Claims Service, and also conducts auction Services. It possesses unique software systems that offer a prompt yet detailed understanding of the client’s requirements for both claims and appraisals. 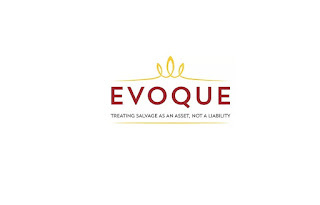 Evoque allows Insurers and Brokers to make constructive decisions at affordable prices: the company completes its insurance fact find in front of the client, and will attend a client’s residence in order to report on the claim circumstances. Evoque also offers auction services for Fine Art, Jewellery, Antique Furniture and Collectables, at competitive rates. Welcome to the Ian Whittock blogs. Find out more about Ian Whittock here.